Congratulations to the winners of Mozo Experts Choice Awards for the best car insurance 2018. These awards recognise car insurance policies that provide Australians with exceptional value for money and exceptional quality cover and benefits, so if you’re after a new car insurance policy this winners list is a great place to start your search. 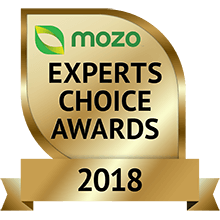 The Mozo Experts Choice Awards have been running since 2014 and recognise products that offer customers the very best in the market. The Exceptional Value awards recognise car insurance policies that are among the best-priced for the cover they offer. For these awards, we obtained a range of quotes from 58 different comprehensive car insurance policies. The Exceptional Quality awards recognise premium car insurance products that offer the very highest levels of protection and benefits. For this award we assessed quality of cover on each product, comparing a wide range of features including 24/7 claims, choice of repairer and the option of hire car after an accident. Mozo also assessed customer experiences when dealing with the insurer as well as their track record of handling disputes with the financial ombudsman services. For details on how we crunched the numbers and determined our winners see our 2018 Mozo Experts Choice Awards Insurance methodology report. Scooping awards for both Exceptional Value and Exceptional Quality in Car Insurance as well as Home and Contents Insurance, Suncorp has been named the Mozo Experts Choice Awards Insurer of the Year for 2018. The winning combination of quality cover, choice and competitive pricing offered should make Suncorp an option worth considering for your insurance needs in the year ahead according to Mozo’s money experts. Optional Extra - Up to 21 days, max $100 per day. Competitively priced cover for damage to your car and any other car or property. Includes new car replacement if your car is written off (less than three years old) with under 50,000km on the odometer plus personal items stolen or damaged are covered to the tune of $1,000 and up to $800 if you need to make emergency repairs. Optional Extra - Up to 30 days, max $100 per day. We found this product to be generally more affordable than many products that offer less. Roadside assistance is included as standard and you can add rideshare cover if needed. The 30 day cover for rental car is generous, included as standard if the car is stolen, and available as an optional extra to cover accidents. Optional Extra - Up to 14 days. Exceptional value cover for your car and damage to someone else’s car or property. Options to help reduce your premiums such as restricting drivers of a certain age and whether or not to add in roadside assistance. Optional Extra - Up to 20 days, max $70 per day. A simple and effective way to get good comprehensive cover for less. Pay As You Drive offers discounts for promising to limit yourself to a maximum number of km a year - and if you find you need to extend it later, you pay a bit more. Comprehensive cover with a good balance of features and price. Includes rental car cover for limited number of days and new car replacement up to first two years. Genuine manufacturer parts will be used as long as the car is under warranty and most modifications will be automatically covered. Optional Extra - Unlimited days. A winner for both the Quality of its cover and the Value of its price, this is top-of-the-line comprehensive car insurance. It comes with no excess on the first windscreen claim each year and lifetime new car replacement if you’re the first owner. Also includes unlimited days rental car cover after theft and the option to add for after an accident. Perfect for the part-time driver. Get comprehensive cover but pay less because you drive less. Option to top-up kilometers if you get close to the limit. Exceptional value without cutting corners. In addition to standard cover for damage to your car, Youi lets you choose to add on up to $2,500 for a caravan or trailer, the most generous cover limit of the insurers we compared. They also cover towing costs and provide up to $1,000 for travel and accommodation costs. If you’re in WA, get lots of flexibility with RAC. Choices include roadside assistance, no excess on windscreen claims, and it also has rideshare cover. Unlimited days cover for a hire car after theft is built in, and you can choose to add the same cover for after an accident. The Mozo experts agree that quality cover is what RACV delivers with its Complete Care policy. You’ll get top cover for things like theft and collision damage as well as knowing that if you do damage property or someone else’s car you’ll be adequately covered. RACV doesn't charge extra for people wanting to pay their premiums monthly and you won’t ever be charged an excess on windscreen claims. There's no cap on the number of days a rental car is paid for (included for theft, optional for accidents) and they will even help cover a bond for the rental car should you need. Want convenience knowing that you’re covered for big and small events, GIO’s Platinum option is worth considering according to Mozo’s money experts. In addition to the standard comprehensive cover benefits, extras like windscreen cover, rental car, lifetime new car replacement come standard with the policy. If you’re after top insurance cover for your car, Suncorp’s Advantages made the Mozo’s Exceptional Quality winners list for good reason. The policy includes the standard cover for damage or loss caused by events like hail, flood, fire, theft and collision. There is unlimited days of replacement rental car and no excess on the first windscreen claim each year. There is even the option to add on rideshare cover. Plus with a 24/7 online claims service and flexible payment options Mozo’s Insurer of the Year has added extras which also give you peace of mind. The comprehensive cover of NRMA’s Plus car insurance means that you don’t have to worry about damage to your car or someone else’s if you or anyone driving your car is in an incident. You’ll get new car replacement if you car is written off in its first two years, car hire until your car is repaired or claim settled, and no excess ever on windscreen repairs. Most dealer modifications are covered without requiring prior agreement and as long as you own your car, there is a lifetime guarantee for the workmanship of all authorised repairs. Towing services also come standard should you ever break-down or require towing. What sets RAA insurance apart? Firstly it allows drivers to pay premiums monthly with no extra charge and regardless of the age of the vehicle it only uses genuine parts for repairs. In case of write-off you’ll get lifetime new vehicle replacement, never have to pay an excess for windscreen repairs and if your car is stolen you’ll also get a hire car. Rideshare is an optional extra. What’s the Judging Criteria for the awards? The Mozo Experts Choice Awards recognise products that deliver exceptional value or benefits to consumers and have been running since 2014. How well the policy scored on a range of factors including the nature and extent of the insurance cover, and the inclusion of added benefits? Whether the policy provided, or offer as an optional extra, aspects that we considered to be the basic essentials in a quality car insurance policy such as a hire car after an accident and no excess windscreen cover? How customers rated the experience of dealing with this insurer? For Exceptional Value Awards, we considered a total of 10,000 car insurance customer scenarios, and determined the percentage of those scenarios where a given policy would feature among the 4 cheapest quotes out of all the policies meeting a minimum level of quality. See our methodology report for more detailed information on how we performed the price comparisons and determined the final winners list. Did you compare all car insurance policies in the market for these awards? How do I find the cheapest car insurance policy for me? You’ll want to check out the winners in the Exceptional Value category. Our experts crunched the data on a range of customer scenarios and these were the insurers and policies that came out the cheapest when compared to similar products. It’s important to understand that many factors go into determining the cost of car insurance such as where you live, your age, how often you drive as well as the car itself, so you’ll still need to do some comparing of features and options to find a policy that is right for you and then get quotes so that you can compare the price. What product features or benefits did you consider for the Exceptional Quality Awards? For car insurance, we considered a total of 25 features with the essential ones being: 24/7 phone claims, choice of repairer, genuine parts, windscreen excesses, choice of agreed or market value and rental car after accident. If you’d like to see the full list, read the methodology report. Where did you get customer experience data for the Exceptional Quality Awards? Customer experience scores were sourced from a national survey of 3,693 Australians commissioned by Mozo and undertaken by IPSOS in April 2018, which measured customer ratings of the experiences of getting a quote, dealing with customer service staff and making claims. Dispute data came from the information published by the Financial Ombudsman Service. Our research team is headed by our Data Services Director and our Product Data Manager who have over 50 years of combined financial services experience and 22 years in online financial comparison. I work for an insurer, how do we promote our win?